I hadn’t read the book before I went to see the movie with Jessica (ran out of time), so I started back in November and finished during the Readathon. Yes, I’m occasionally an overachiever. 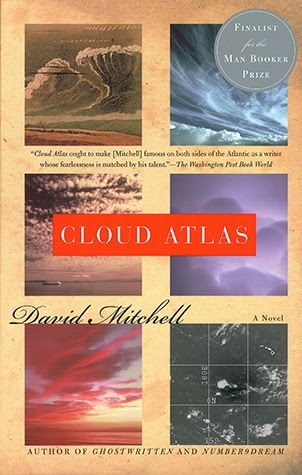 In short, Cloud Atlas is a mind-blowing book. I love the nest-box structure of the narrative and it was really interesting to see what endings and details were changed from the book to the movie adaptation. I had a little trouble with Zachry’s section and had to start reading it aloud to get the hang of the dialect. Absolutely worth reading. Loved it. Lord Rafe Easton may be of noble blood, but survival taught him to rely only on himself and to love no one. Yet when he sets his eyes on Miss Evelyn Chambers, and earl’s illegitimate daughter, he is determined to have her, if only as his mistress. After her father’s death, Evelyn Chambers never imagined she would be sold to the highest bidder, yet circumstances give her little choice except to accept the lord’s indecent proposal. Rafe is wealthy, as well as ruthless. Yet his coldness belies deep passion and deeper secrets. If she must be his, Evelyn intends to lay bare everything the Lord of Pembrook is hiding. But dark discoveries threaten to destroy them both until unexpected love guides the last lost lord home. Having read the first two Lost Lords of Pembrook novels and the novella – and noting the extreme similarities in plot regarding broken engagements – I was a bit worried about the final book in the trilogy. Because I really couldn’t see Rafe – gambling hell owner, tough-guy, and very, very wounded soul – in the same situations his brothers were in. 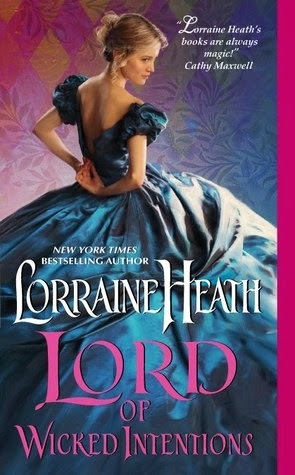 Worried in vain, I did, because Heath really pulled out the stops for Lord of Wicked Intentions. Miss Evelyn Chambers has been sheltered all her life. Though she knows that she is illegitimate her titled father raised her in his house and she happily kept him company at home. On his death, however, her half-brother – now the Earl of Wortham, who hates her and is in debt up to his eyeballs – decides to rid himself of her by selling her to one of his lowlife friends. Lord Rafe Easton is invited to the viewing because he holds Wortham’s gambling debts. He intends only to observe, not bid, since the purpose of the meeting is for Wortham to prove he can scrape together the ready. As Evelyn greets all the guests (aka lascivious pieces of filth, my words, not Heath’s) Rafe is taken with how soft and sweet she is. When it becomes obvious that Wortham would let all those men violate his sister, Rafe simply says that he will take Evelyn. He’s not going to pay for her, he’ll just take her and let her brother continue to breathe air. Unfortunately, Evelyn is under the impression that the gathering is so that she might find a husband. When Wortham drops her off at Rafe’s house with nothing but the clothes on her back she is confused. When Rafe explains what she’s meant to do, she bolts and runs all the way back to her brother’s house in the rain. The house is barred to her, the servants won’t let her in, her brother won’t see her. Rafe is forced to break one of his cardinal rules – never allow someone to touch you – by carrying her home. Rafe and Eve come to a detente of sorts – Eve agrees to stay, be his mistress, and Rafe promises she will want for nothing. Just as Rafe systematically breaks down Eve’s naivete, Eve starts to break through Rafe’s solid wall of disdain. She brings touch back into Rafe’s life, body and soul, and underneath she finds the frightened ten-year-old who never understood why he was left behind and can’t bring himself to trust and forgive. Of Heath’s three Lost Lords, Rafe is the one with the largest internal scars and the longest road back to forgiveness. Lord of Wicked Intentions brings the Lost Lords trilogy to a strong conclusion. Through Rafe Heath brings the horrors of the Dickensian workhouse to life and created a character too terrified to show care or love about anything for fear it might be used against him. From a twenty-first century perspective Evelyn is a bit much at first, so naive that she doesn’t even conceive of the reason why she’s been deposited on Rafe’s doorstep like an unwanted parcel, but she does make sense in the Victorian period. She very quickly develops a backbone – I actually like her slightly more than Mary, the heroine of the first book in the series. 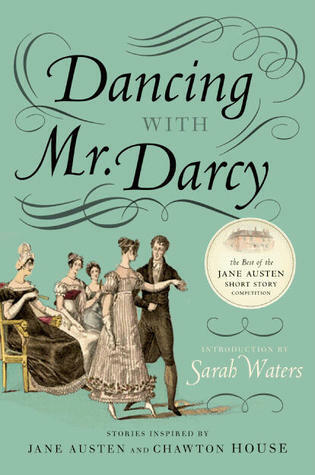 Dancing With Mr. Darcy contains the best entries from the Jane Austen Short Story competition as judged and edited by novelist Sarah Waters. The entries had to take inspiration from Austen herself, her work, or from Chawton House where she lived out her later life and wrote many of her most famous works. On the whole, the collection is a nice, fun read. Some stories are more serious (“The School Trip”), some are more lighthearted (“The Jane Austen Hen Weekend”), and some borrow from a more contemporary author, too (“The Delaford Ladies’ Detective Agency” and “One Character in Search of Her Love Story Role”). The winning story, “Jane Austen Over the Styx”, put Jane Austen on trial after her death in a prosecution lead by the odious Mrs. Norris (over the objections of Lady Catherine de Bourgh). Her less-well-like female characters felt slighted, you see, and a rather interesting punishment is meted out. Although I didn’t like all the stories as much as I had the ones in Jane Austen Made Me Do It this was a nice book to finish up during the Readathon. 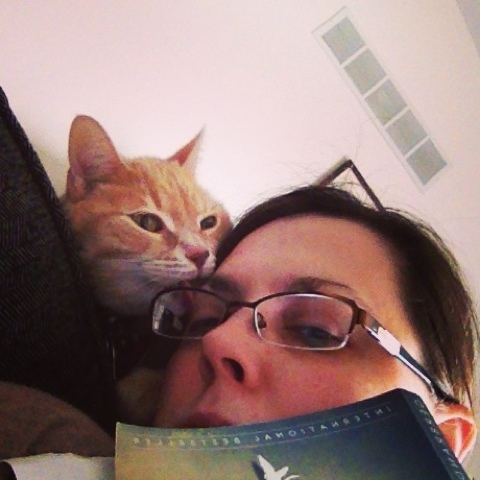 What a fun readathon! I hosted my first mini-challenge (congrats Michelle from A World of My Own!) and it was such a blast. I have commenting for days now, ya’ll, since I have yet to make it through all the entries. 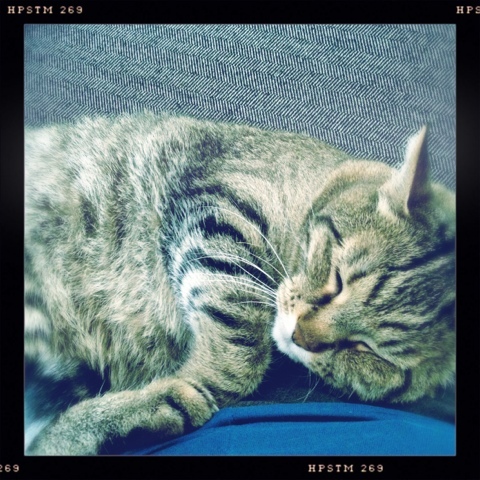 So I’m going to make like Chaucer and go pass out. Diana is the reason the Highwood ladies came to Spindle Cove in the first place: to cure her asthma so she can return to London and snare a suitably rich, titled husband. Since they’ve been there, though, blue-stocking Minerva has snared repentant rake/rich viscount Colin Sandhurst (see the hilarious and hot second Spindle Cove novel, A Week to be Wicked) and Diana has fallen hopelessly in love/lust with the Spindle Cove blacksmith. If Mrs. Highwood knew that was the reason Diana was always having things mended at the forge – so she can ogle Aaron’s sweaty muscles – she just might expire. Aaron Dawes has dating issues. Having grown up in Spindle Cove with two sisters and all their friends, fixing all their broken items, well, he sees the available women of his class as sisters, too. Not very conducive to finding a future wife. Diana, though, is clean and fresh and beautiful…and a lady. Ladies do not marry blacksmiths. Ever. Ever, ever, ever. Until one day, Aaron takes a chance and calls Diana on her frequent visits to the forge. Pushing Diana just that little bit cracks open her resolve – she has always been the golden child, doing what her mother wants, but this time she’s going to do what she wants. Beauty and the Blacksmith is a lovely, sweet, fan-yo’self novella timed just right to tide eager Spindle Cove readers over until the publication of Any Duchess Will Do at the end of May. I had always wondered who Diana might get for her hero because she seemed to like Spindle Cove a great deal and her mother’s plans not quite so much. And Aaron, like Corporal Thorne, is a bit of fresh air – not a nobleman, not a rake, just a good guy trying to get by in the world so you can’t help but be in his corner from page one. The romance moves very quickly in this novella but Dare didn’t skimp on the signature Spindle Cove humor. Diana’s run-in with the eel was hilarious and the whole Mr. Evermoore running gag helped sew up the plot perfectly. Dewey’s #readathon Hour 2 mini-challenge winner! 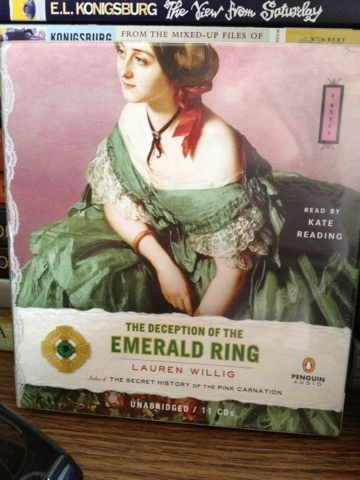 According to Ye Olde Random Number Generator (www.random.org), the winner of The Deception of the Emerald Ring in audio is…. Comment #32, Michelle from A World of My Own! 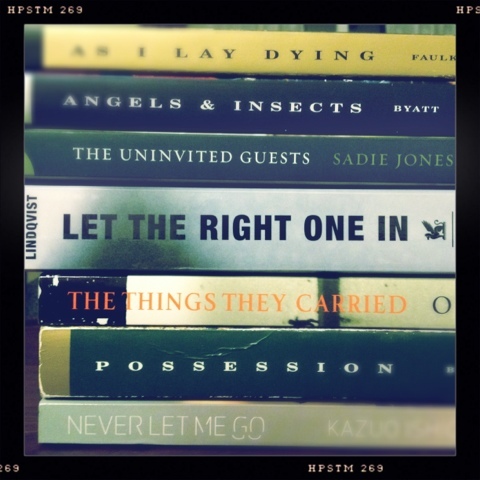 Stop by her blog to see her book spine poem. Congrats Michelle – email me your snail mail address (my email is in the Welcome message to the left)! Many thanks to everyone who entered – it’s going to take me forever to go through and read everyone’s poems. I’m looking forward to it! Andi and Heather are hosting the Hour 5 mini-challenge at The Estella Society: Self-portraits. I was trying to take a “nice” picture with the Dante-kitteh but at the last second he decided to give me kisses instead. What a goob. 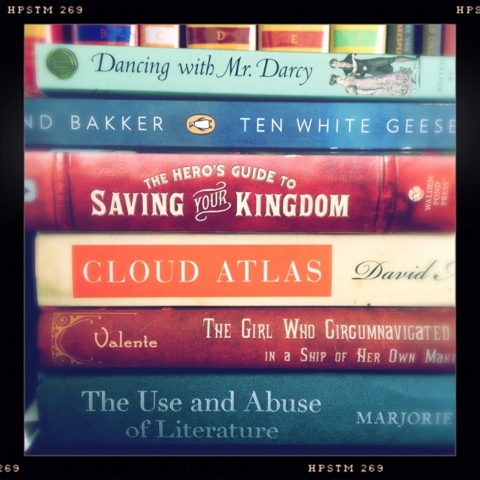 Dewey’s #readathon Hour 2 Mini-Challenge: Book Spine Poetry! Welcome to the second hour of Dewey’s Readathon! I am your mini-challenge host for this hour and we are doing poetry! April is National Poetry Month so I’ve been doing (almost) daily poetry features. What’s better than reading poetry? Making book-spine poetry, of course! Using the titles on book spines, make a short poem at least three “books” long/tall. Don’t worry about form or meter or anything like that. Just have fun! And don’t over-think it – I did the one pictured above in about ten minutes. Take a picture of your book spine poem, post it on your blog/Twitter/Tumblr/Instagram/etc., then paste the permalink to that post in the comments to this post. You have about six hours. At the beginning of Hour 8 I will use Ye Olde Random Number Generator to pick a random book-spine poem entry. The winner gets: Lauren Willig’s The Deception of the Emerald Ring on audio read by Kate Reading! I’m willing to ship the prize anywhere in the world so get cracking!